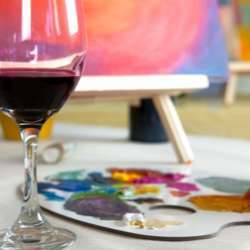 Celebrate Wine and Art! The Annual Texas Wine and Art Festival will take place in Historic Old Town Spring featuring 2 days of Texas-based wineries showcasing local white, red & sweet wines and southern-style blends along with local arts and artisans. April 6 & Protected content . Wine and art enthusiasts are invited to attend this Texas-style event featuring more than 10 local wineries showcasing top award-winning Texas wines and original artwork and exhibitions from local artists, local food products from various vendors. FEE: General Admission is FREE. Wine Tasting is $25.00. GOODIES: General admission to the festival is FREE on Saturday and Sunday and provides access to viewing of the art vendors. The PAID ticket fee is for Wine Tasting admission. Wine tasting admission tickets include 1 commemorative wine glass and 10 tasting tickets. Additional tasting tickets are available at the event for $1.00 each. NOTE: Rain or Shine with the exception that weather is not life threating!